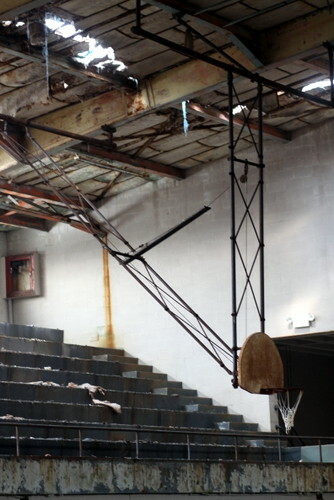 Desperate to provide recreational opportunities for the children of their neighborhood over the last several years, Irish Channel residents have organized their own basketball leagues, running extension cords down the street to operate a scoreboard. Those days may soon be over, as the city has finally begun work this week renovating the Lyons Center into a state of the art community space for sports, dance and computer education — with a promised completion date of this coming spring. The center first opened in 1954 and was named for slain World War II soldier John P. Lyons, Mayor Mitch Landrieu said on Monday morning during a groundbreaking ceremony for the project. 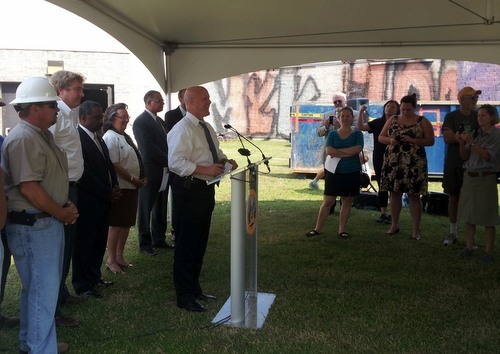 Landrieu noted that many New Orleans children have passed through its doors over the years, and that he was one of them. 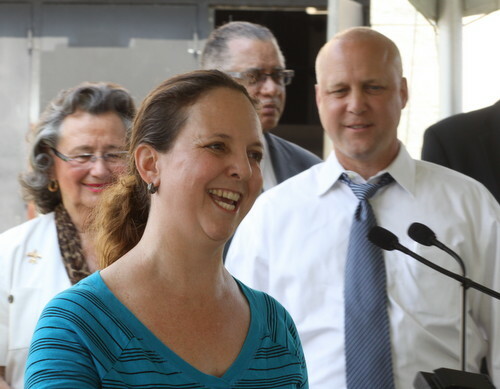 Now, as one of the last Uptown projects that Landrieu promised to dedicate FEMA money to after he took office, Landrieu said the Lyons Center will be another example of rebuilding not just what the city was, but what its residents always wanted it to be. 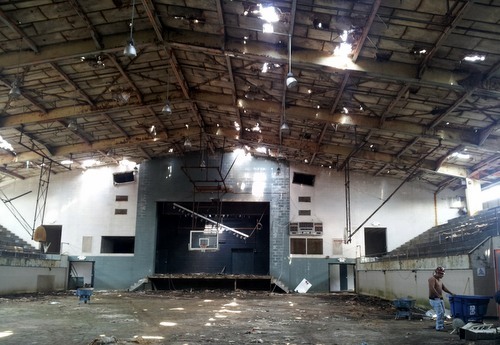 In addition to using the FEMA money to replace the roof, floors, bleachers, plumbing and air-conditioning, Chevron is paying for a dance education space and the NFL is paying for a computer room. The news thrilled Irish Channel Neighborhood Association president Kara Morgan, who spoke at the ceremony about the struggles of her and her neighbors to provide recreational outlets for children in the neighborhood. The children are desperate for activities that may sometimes be their only alternative to running loose on the streets. “It is so important for these kids to have something to do,” Morgan said. For more information on the project, see the official news release from the city of New Orleans.